Pittsburgh-based Cowden Associates, Inc., (Cowden) the leading independent actuarial, compensation and employee benefits consulting firm in the tri-state region, is promoting Lesa Votovich, to Vice President of their Health and Benefits practice and Amy Crouse to Senior Analyst of their Retirement and Actuarial Services practice. Cowden is pleased to announce two promotions effective immediately. Lesa Votovich will become Vice President of Health and Benefits at Cowden. 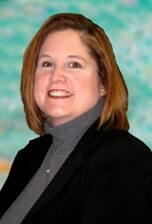 Lesa joined Cowden in 2013 and has over 20 years of experience in health and benefits consulting. Lesa’s responsibilities include development of processes that advance the deep complexities of health and welfare plans from a service, compliance and technological approach. “Lesa understands employers’ needs and strategizes to meet those needs through tailored solutions. We are excited to recognize her achievements and look forward to her continued leadership and guidance to our company and clients,” said President and CEO, Elliot Dinkin. Amy Crouse is promoted to Senior Analyst within Cowden’s Retirement and Actuarial Services practice. Amy has been with Cowden since 2009 and she is actively pursuing her actuarial designations. 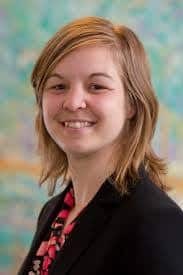 She works on a variety of actuarial initiatives for both single and multi- employer clients, including data analytics, actuarial valuations and accounting reports, de-risking strategies, and plan sufficiency analyses. “Amy helps to manage client accounts and enjoys partnering with clients to understand their overall objectives and to help them achieve their goals. We are pleased to recognize her accomplishments,” said Vice President, Bob Crnjarich. Cowden Associates, Inc. is a Pittsburgh-based consulting and actuarial firm. We have a dedicated team of professionals with extensive experience in benefits, retirement programs, compensation, employee communications, benefits enrollment, actuarial and technology services. Using a total compensation based approach, Cowden provides a full range of consulting services helping clients establish and maintain high quality compensation and benefit programs aligning organizations’ business strategies and objectives. Cowden is a charter partner of United Benefit Advisors (UBA), the nation’s leading independent employee benefits advisory organization. Filed Under: Leadership, People Tagged With: Cowden Associates Inc.